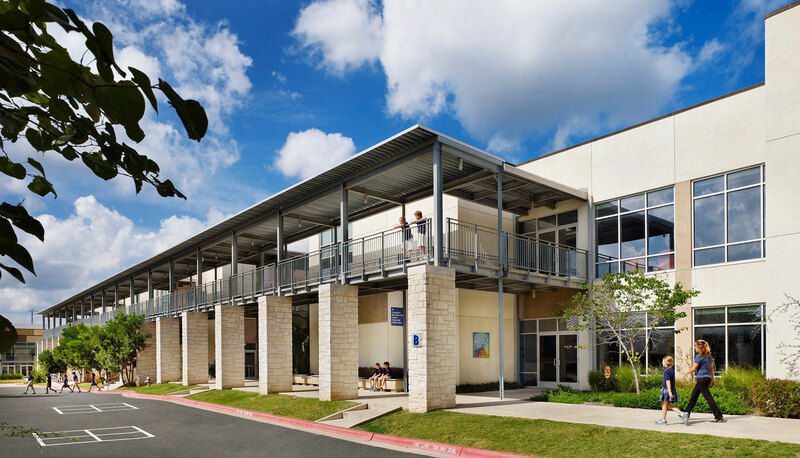 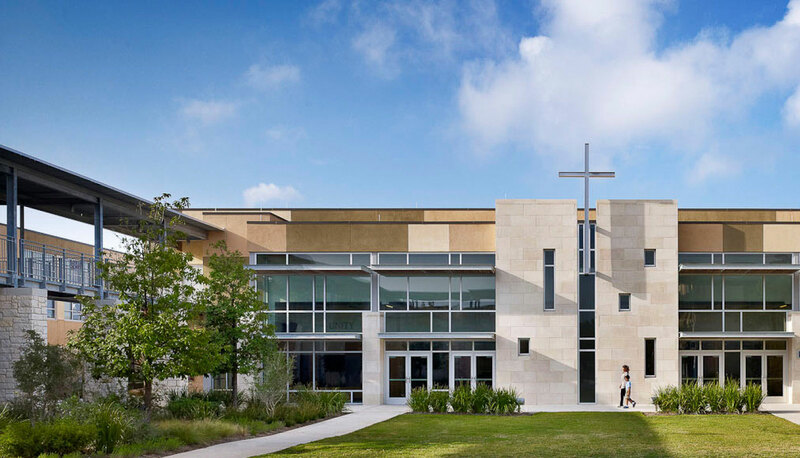 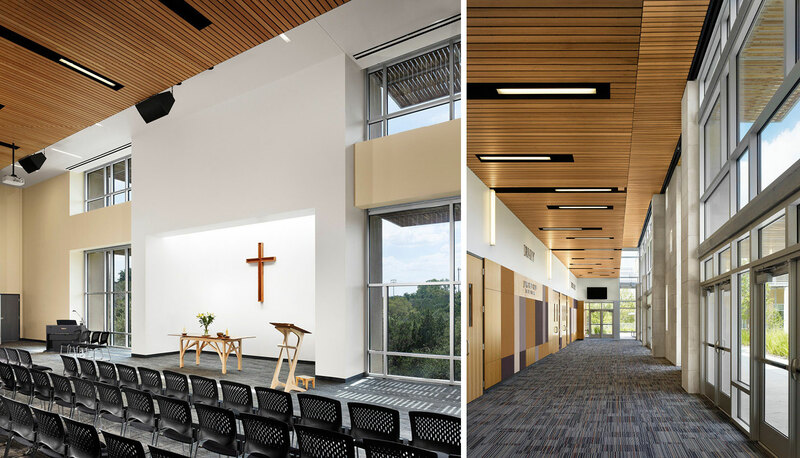 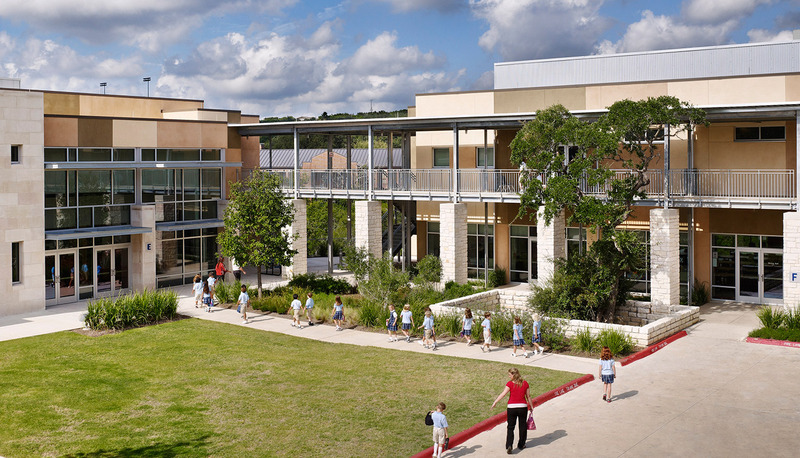 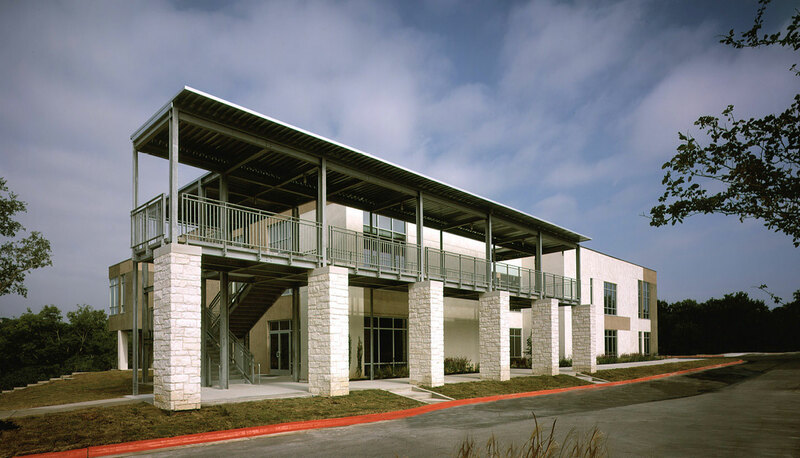 Trinity Episcopal School, a K-6 school, occupies a heavily wooded site in a densely developed, Austin commercial district. The master plan clusters individual buildings around a well-defined mall and plaza lined by two-story colonnades, allowing much of the beautiful site to remain a nature preserve. 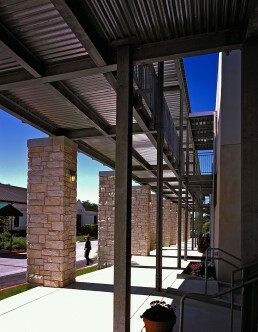 Building B, the first construction under the master plan, initiates the colonnade and anchors the entrance to the mall. 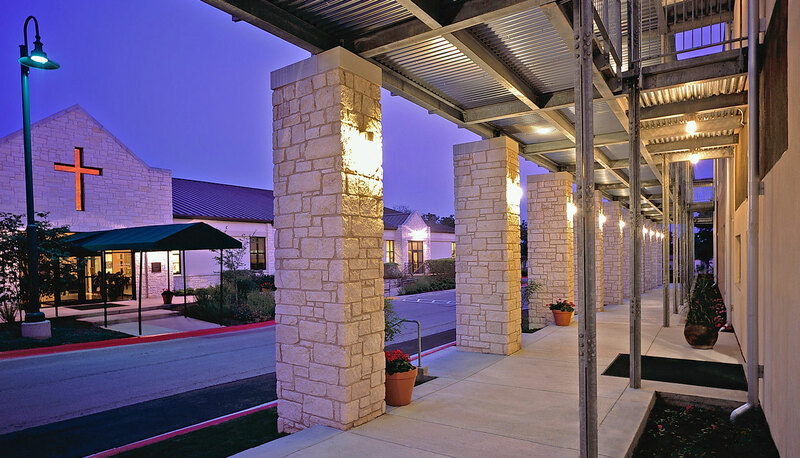 Strong stone piers on one side define the outdoor urban space and create the primary building facades. 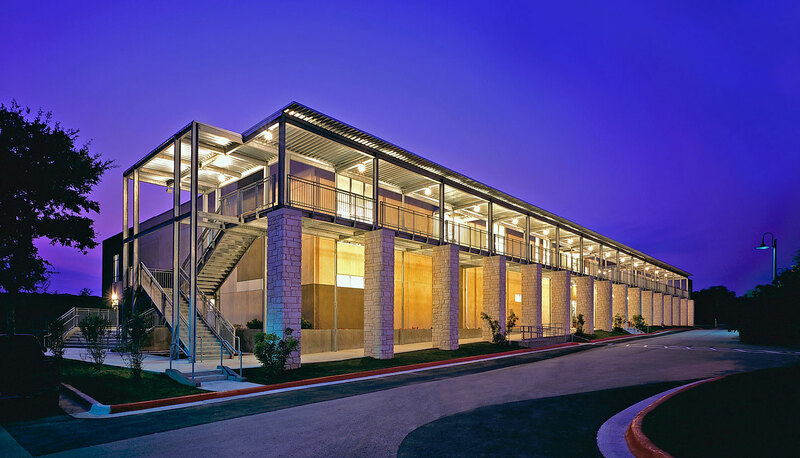 A delicate steel frame keeps the arcade space light and airy as well as introducing exposed construction, which is evident from the interior. 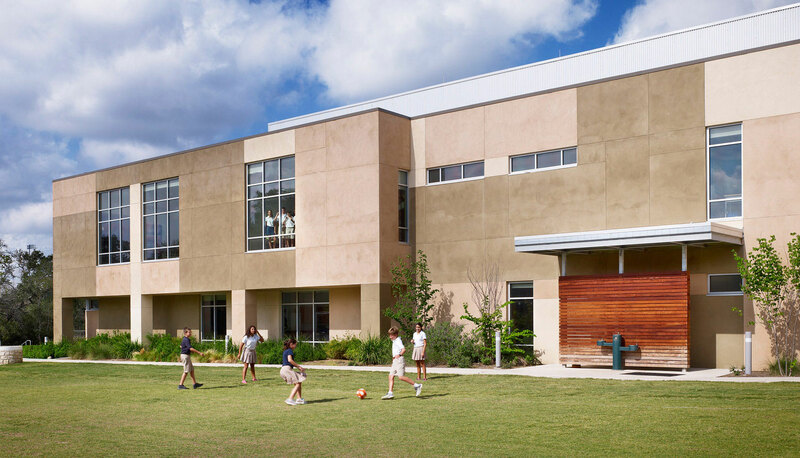 A taut, colorfully articulated, stucco skin wraps the volume. 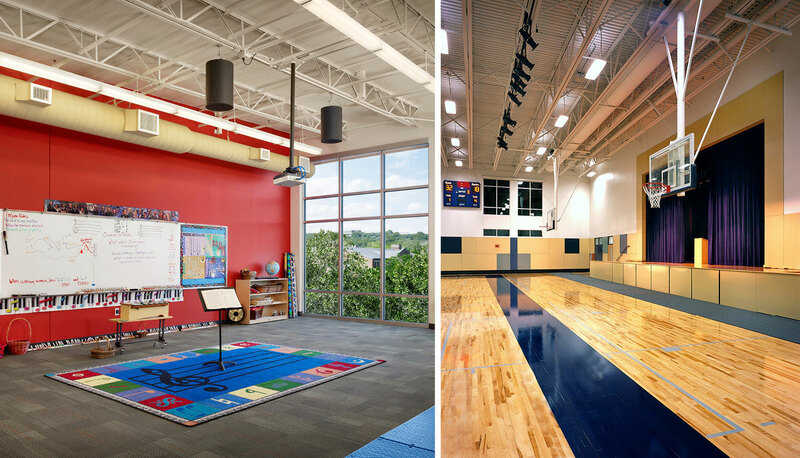 Inside, classrooms are grouped around communal workspaces.